Elizabeth is a freshman and this is her first year in the publication world. 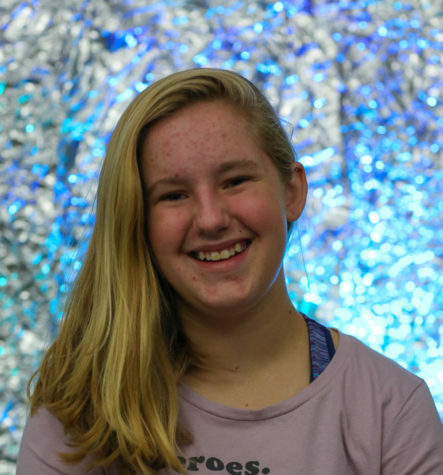 Outside of school, she enjoys reading, playing cards and hanging out with her family. Inside of her school she focuses hard on her studies but can be known to pepper some fun in there too. You can often see her bopping to music that isn’t there. Yet she is excited to step out of her comfort zone this year, meeting new people and doing things that interest her.